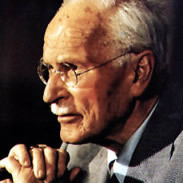 Swiss psychiatrist and C. G. Jung (1975-1961) viewed mid-life, the time midway between entering adulthood and the end of life, as a critical time of transition. Dr. Brad Chabin, a depth psychotherapist with a practice in West Hollywood, California, had his own experience of a spontaneous and powerful mid-life transition. It involved a devastating diagnosis and challenging times, during which, Chabin now recognizes, much of his social identity slipped away.